Bajaj Finserv Limited is the holding company for the businesses dealing with financial services of the Bajaj Group. It independently runs the core businesses of Lending, Insurance and Wealth Advisory. Bajaj Finance Limited is the consumer finance lending arm of Bajaj Finserv Limited. It is the most diversified retail-focused NBFC in the country and the largest financier of consumer durables. Bajaj Finance Limited prides itself for holding the highest credit rating of FAAA/Stable for any NBFC in the country today. 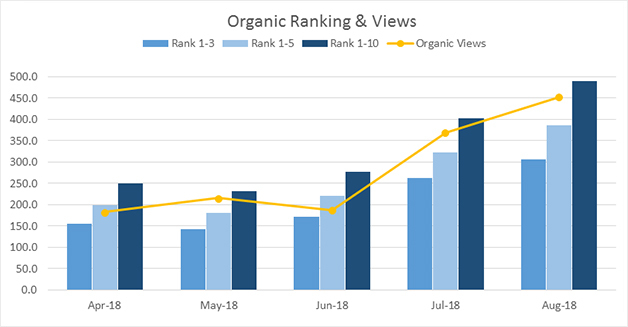 Bajaj Finserv’s official You Tube channel had very little organic viewership and engagement. The YouTube channel had a number of videos, but those videos were not present in YouTube search results even for brand keywords. In fact, videos created by third-party vloggers, video reviewers and influencers were ranking for many generic and brand keywords in YouTube. Also, the number of active subscribers was very low. Our solution was to deliver results that would genuinely impact the business. It would not be sufficient to just get the videos and/or channel to rank for generic and brand keywords. 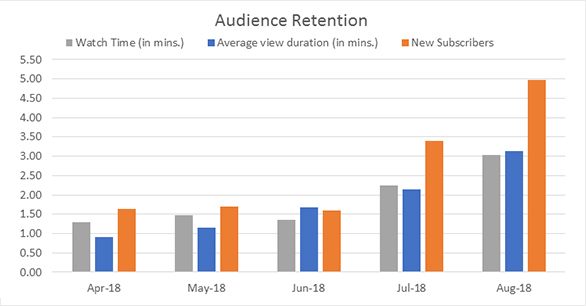 We needed to make sure the increased views would enhance audience engagement and retention thereby increasing overall awareness of the brand. First, a comprehensive keyword research was undertaken. 500 keywords were identified and categorized product wise. Then, all videos on the channel were reviewed to understand the content and fitment with the keywords identified. The videos were then mapped to keywords which would be used to rank them for. Next, the videos were picked product wise and optimized for titles, descriptions and other video elements that impact rankings. This was followed by link building and social marketing. This helped get more likes and comments – important signals for ranking videos on You Tube. We updated the videos intros, end screens and video cards to increase engagement and retention metrics. 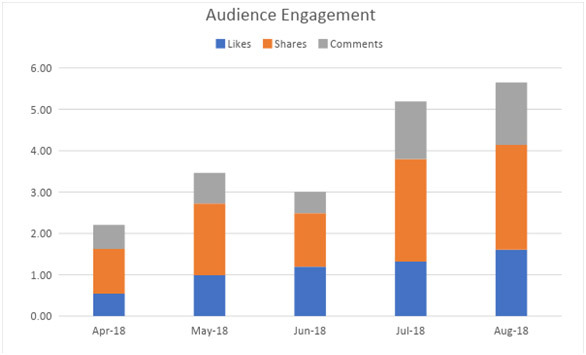 The increased engagement helped boost the channel subscribers. We created video playlists on the Channel to prompt users to view other related videos on our channel. This would further enhance watch time of the Channel. Rank 1 -3 – # of keywords ranking in top 3 search results in YouTube. Rank 1 -5 – # of keywords ranking in top 5 search results in YouTube. Rank 1 -10 – # of keywords ranking in top 10 search results in YouTube. NOTE: The absolute numbers are indexed, with Apr-18 set equal to 1.28 for Watch Time, 0.90 for Avg. View Duration and 1.635 for Subscribers. Average View Duration - The avg. amount of time (in minutes) a user has spent on a video on a channel per view. Watch Time - total amount of time (in minutes) in aggregate that all viewers have spent watching the videos on your channel. NOTE: The absolute numbers are indexed, with Apr-18 set equal to 0.54 for Likes, Shares and Comments.